Welcome to the official DaniJohnson.com app! 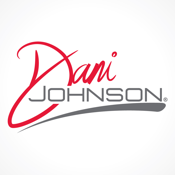 Access live streaming of The Dani Johnson Show and access to the free archived episodes from the website. - Listen to The Dani Johnson Show, streaming live to your device. - Stream the prior show and catch up on what you missed. After you’ve downloaded and enjoyed the app, you can share it with your friends via Twitter, Facebook, or email. The DaniJohnson.com App was created with The Church App by Subsplash.